Rukaiyah is in your extended network. As salaam 'laykum wa ra'hmatullahi wa barakaatuh. How are you sister Rukaiyah? Jazaak Allaah khayr for the add! Inshaa^Allaah, I hope we will be great friends and keep in touch from time to time. "O Allaah, may it be pleasing to You to put our feet firm upon the straight path ...amiyn yaa Allaah!" "O Allah! Give us that belief and faith after which there may not be any infidelity and a Mercy enabling us to achieve the blessings of Your gifts in this world and the Hereafter...amiyn yaa Allaah! "O Allaah! We ask of you to give us a conviction and that Your Decree is the very fulfilment of our aims, and an entertainment which is offered to martyrs, and a life of the fortunate, and Your help over enemies...amiyn yaa Allaah!" "O Allaah! We place before You our needs, though our understanding is limited, and our actions are weak, hence we are badly need of Your Mercy...O The Maker of affairs and Healer of the Hearts! As You by Your power keep the oceans separate from each other; so we request from You to keep us away from the punishment of the Hell-Fire, and the lamentations of the one about to perish, and from the punishment of the grave...amiyn yaa Allaah!" "O Allaah! Make me one who is guided aright, and guides others aright. Do not misguide me, and do not make me misguided others. I may be in peace with Your friends and enemy of Your enemies. Those who love You, I should love them for that love of Yours, and those who are against You, I should have enmity with them due to their enmity with You...amiyn yaa Allaah!" "O Allaah! It is for us to supplicate, and for You to accept. This is our effort and our reliance is on You...amiyn yaa Allaah!" 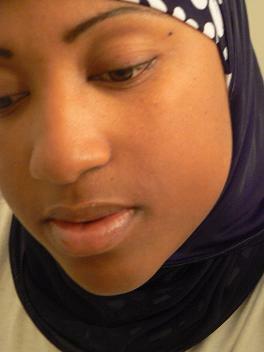 As-salaamu-alaikum, shukran for the add sister.